It's here at last! The stunning Kia Stinger, an elegant gran turismo based on the 2011 Kia GT Concept from the Frankfurt Motor Show has now arrived and is available to drive exclusively at Park’s Kia Coatbridge. 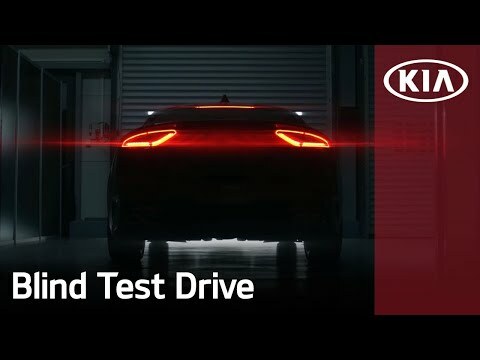 Kia’s first rear-wheel drive model to be introduced in Europe, the Stinger is a classic grand tourer that features a range-topping twin-turbo V6 engine to also make it the fastest-accelerating Kia ever, with a 0-60mph time of 4.7 seconds. Five versions are available, all with turbocharged direct-injection engines mated to an eight-speed automatic gearbox and featuring state-of-the-art electronic driver aids and connectivity systems. Interior features include DAB radio with MP3 compatibility and Bluetooth with voice recognition and music streaming in every model. Speak to your local Park’s Kia dealer in Bathgate, Coatbridge and East Kilbride today to find out more or visit our centre on Dundyvan Road, Coatbridge to take a test-drive in this exciting new model! Test drives subject to status and availability. Park's of Hamilton (Townhead Garage) Limited is an Appointed Representative of Park’s of Hamilton (Holdings) Limited, FRN 308476 of 14 Bothwell Road, Hamilton, ML3 0AY, which is authorised and regulated by the Financial Conduct Authority. Park’s of Hamilton (Holdings) Limited permitted business is Insurance Mediation and to act as a Credit Broker. We can introduce you to a limited number of finance providers to assist with your purchase, who may remunerate us for introducing you to them. Retail customers only.